find the link your track will be placed on! Click Here To Check Out Our Stellar Sales Ratings and Reviews here on SEOClerks! SEO Science, not fake plays from bots which does nothing to grow your dream! Our goal is to get your music in front of as many music professionals possible. 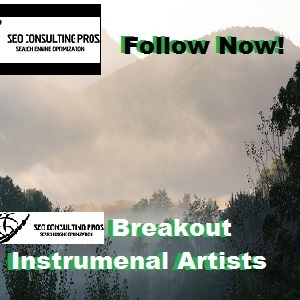 Google, Yahoo or Bing for "Breakout Instrumental Artists You Should Follow"
encourages them to follow and share the playlist links for further exposure. artists around the world that make great music. That has always been our focus! music as part of your team! Thank you! Please feel freeto visit my personal LinkedIn Page form credentials. take care of the rest! Look forward to working with you!